Light reflecting off sea ice onto clouds is known as 'iceblink' or 'ice blink'. Dark sky reflecting open water is known as 'water sky'. 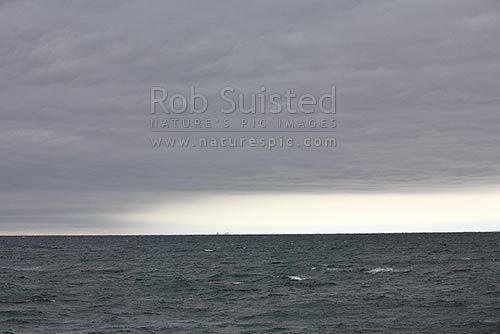 Important for navigation, Ross Sea, Antarctica Region, Antarctica, stock photo.